From 'common sense/general knowledge' many of these numbers seem reliable, but I'm very interested in the actual sources for these numbers. How reliable are these claims? I find a lot of on line articles citing (similar) claims, but have a hard time finding the original sources (e.g. for the exact time periods mentioned). 1. 26% of NHS doctors were born abroad. 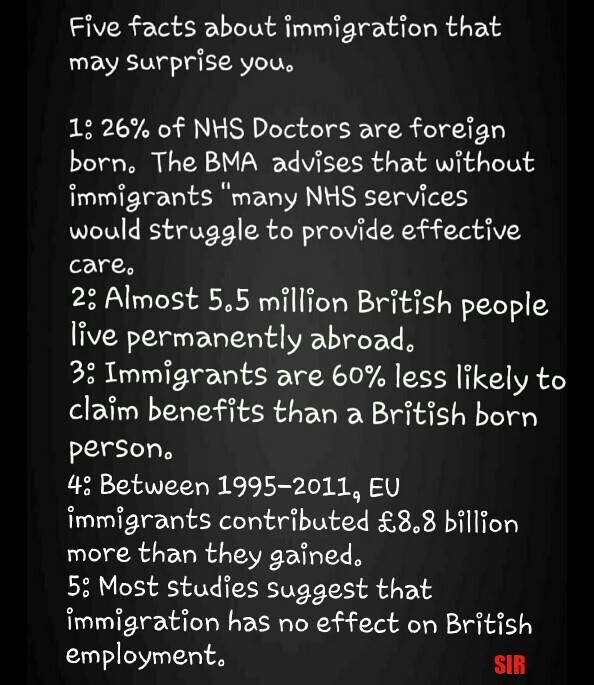 The BMA advises that without immigrants many NHS services would struggle to provide effective care. 3. Immigrants are 60% less likely to claim benefits than a British born person. 4. Between 1995 and 2011, EU immigrants contributed £8.8 billion more than they gained. 5. 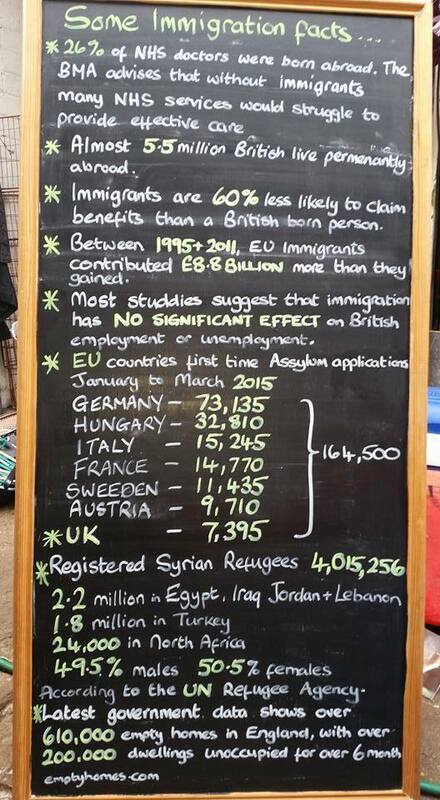 Most studies suggest that immigration has no signifiant effect on British employment or unemployment. Related questions: Is there a link between rising UK youth unemployment and immigration from Eastern Europe? and Is immigration causing unemployment among low-skill workers in the UK? 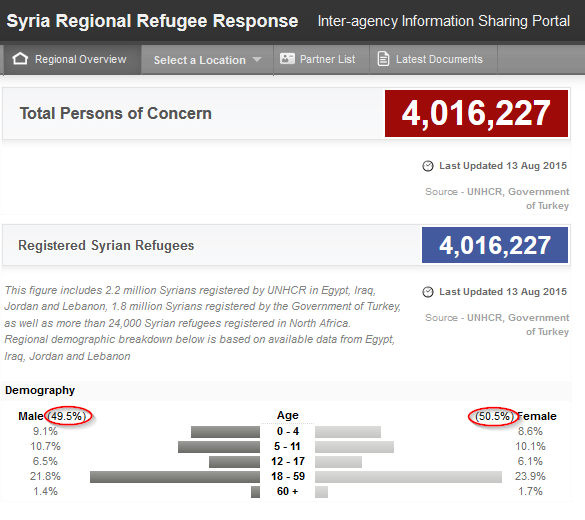 Eurostat Asylum quartely report (slight variation in numbers, but good match). I realize this is a broad question; it is obviously more than one claim if you count the facts listed in the picture, but since this picture is distributed 'as is' I have decided to still put up the question here (risking 'too broad' votes).